"Organizational transformation is difficult," they say. "It is hard." "It takes a long, long time - and maybe it will never happen!" No more! Profound organizational transformation just got a lot less complicated! This book is for anyone who is interested in creating rapid and lasting Beta transformation. It is for company executives, directors, managers, team leaders, and the consultants and coaches who serve them. This is the practical guide to making the Beta organization happen - in just a couple of months. Sounds impossible? It isn´t anymore! This handbook spells out an all-hands, high-engagement approach to organizational transformation that is suitable for any kind of company - regardless of size, age, country/culture, legal form and industry! Seemingly obvious and yet groundbreaking, this is the way to make the Beta organization happen. Anywhere. Fast. OpenSpace Beta is new. At the same time, it is tried and tested. This is possible thanks to two factors. First, it is due to the ample practical & consulting experience that Silke and Niels bring to the table - and which went into the OpenSpace Beta approach. Silke and Niels command the greatest experience available in the market, with regards to Beta, and Beyond Budgeting transformation work: They have been doing it for 10 and 15 years, respectively. But the robustness of the approach is also possible because OpenSpace Beta is derived from the proven and tested Prime/OS framework. an open source social technology developed by Agile maverick Daniel Mezick, creator of OpenSpace Agility. 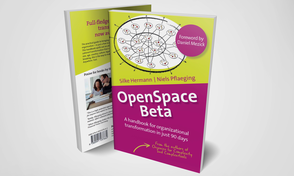 And what is best about it all: OpenSpace Beta itself is an open source social technology, too. Silke and Niels have been working on Beta transformations together, since 2009. At the time, Niels had been doing work on Beta and Beyond Budgeting projects for six years already. Their combined experience led them to a somewhat counter-intuitive conclusion: That to bring about Beta organizations, you do not need more consultants, but less. This insight is deeply embedded in OpenSpace Beta. If you want to get going with OpenSpace Beta and your Beta transformation, then Silke and Niels are the logical starting-place. From introductory sessions about the approach, to accompanying your OpenSpace Beta "chapter" - with Red42, Silke and Niels offer everything that you need to get going. 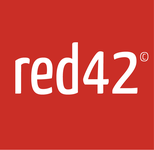 Red42 also provides qualification courses and certifications in the OpenSpace Beta approach. You can also buy OpenSpace Beta products in our shop. You do not get to self-organization through method that relies on imposition. If you want to create a truly great, and truly high-performing organization, there is no way around Beta, or disciplined self-organization. To get to Beta, in turn, you need an approach to transformation that is Beta (Self-organized! Engaging!) in itself, too. Not frameworks. Not blueprints and plans. Not armies of consultants.